The 2019 Law Day theme is Free Speech, Free Press, Free Society. 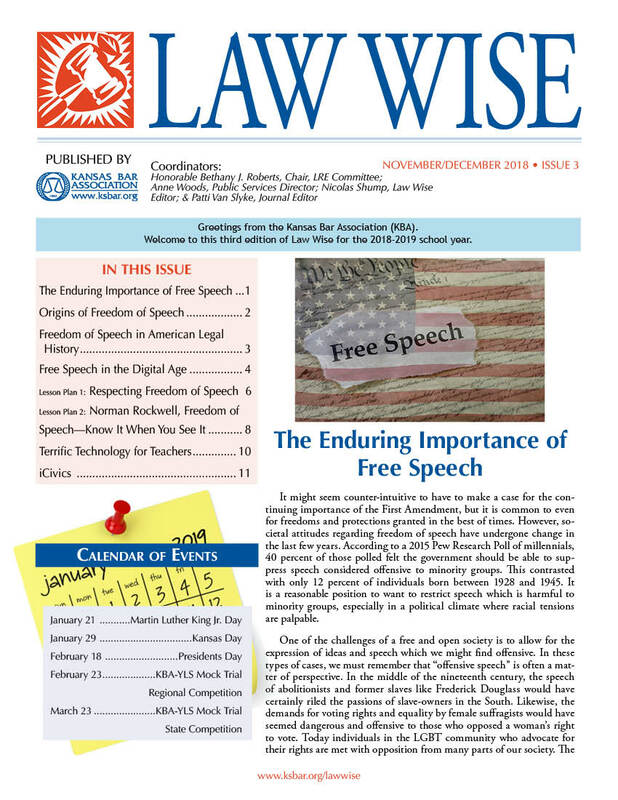 We hope you enjoy the resources related to these topics in this issue. The KBA can arrange to have an attorney present information about Law Day and freedom of speech. Contact Anne Woods at awoods@ksbar.org for details. We wish you a safe and fun winter break!